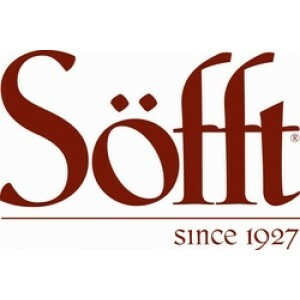 Söfft® shoes are the perfect combination of luxury, tradition and natural beauty. Only the most exquisite leathers and materials are used in every pair of shoes. Handmade, each shoe is handled with the utmost attention and care. Designed with intricate details and natural elements, Söfft shoes are truly inspired by the world around us. Delivery information Standard UPS Ground shipping is always free. The estimated arrival date to the customer's door is based on the distance from ​Söfft's distribution center in Maine. Payment information Payment options are VISA, MasterCard, American Express, Discover, and Paypal. Return information Customer may return their purchase within 30 days of shipment for a refund or exchange. Shoes must be in original, unworn condition to be accepted for returns/exchange (unless defective).